6 October 2017. By Leah Nylen. Corporate fines for cartels fell to their lowest levels in a decade as prosecutors wrapped up long-running investigations and started new probes in fiscal 2017. 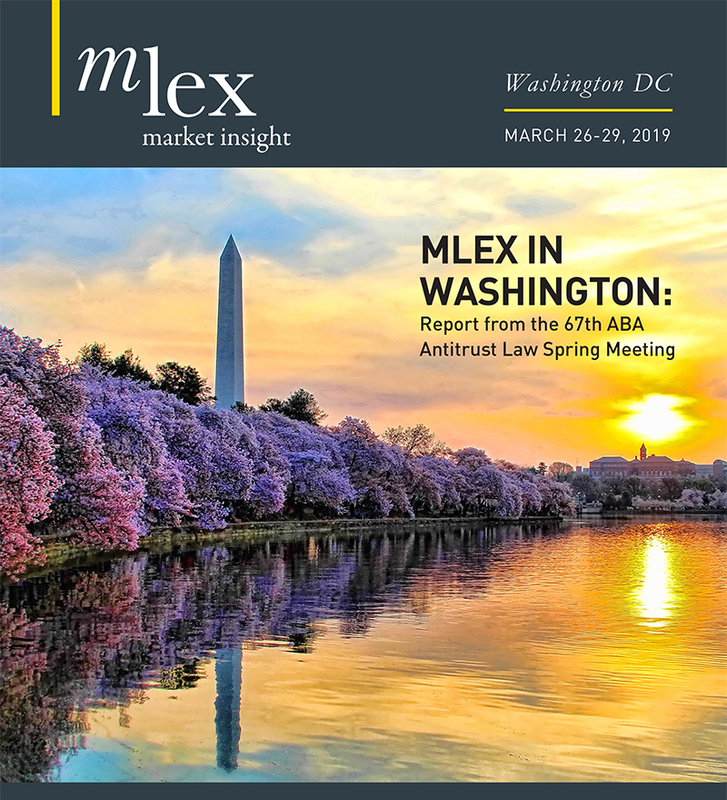 During the 12 months that ended on Sept. 30, antitrust prosecutors announced about $107.8 million in fines for criminal antitrust violations against eight corporate defendants, according to an MLex analysis. That's down from the $396.5 million in criminal antitrust fines the previous fiscal year, and a huge drop from the record $3.6 billion in fines in fiscal 2015. The precipitous decline wasn't a surprise. At a speech in November, Renata Hesse, then the head of the US Department of Justice's antitrust division, attributed the drop-off in fiscal 2016 to end of several major investigations — including the auto parts probe, which began in 2012 and by itself has led to charges against 48 companies and $2.9 billion in fines. "The number of investigations we have open, which right now is around 100, is really a more important measure of what we're doing and how successful we are," said Hesse, the acting assistant attorney general for antitrust. "I think fundamentally the explanation is that we're at the end of some [investigations] and beginning of others." The $107.8 million figure represents the fine totals from plea agreements that the Justice Department announced during the fiscal year. The amount of collected fines, however, is much smaller, as plea agreements are subject to judicial approval, which can take several months, or even years, to finalize. For example, DOJ announced in August 2016 that three Japanese capacitor manufacturers — Rubycon Corporation, Elna and Holy Stone Holdings — would plead guilty to price-fixing. In plea agreements, prosecutors asked the court overseeing the cases to impose fines of $12 million, $3.85 million and $4.17 million, respectively. While US District Judge James Donato accepted Rubycon's $12 million plea, he rejected the deals with Elna and Holy Stone, as well as a third, $4.17 million fine in a plea agreement with Matsuo Electric that prosecutors announced in February. Three other cases — two involving alleged price-fixing among websites that sell customized wristbands and a third stemming from alleged price-fixing of roll-on, roll-off cargo — have also yet to see the plea agreements between prosecutors and the companies finalized. Let us now acknowledge the criticism many antitrust authorities and commentators have of using the amount of fines as a metric — fines alone tell one nothing about the quality of cases. Still the raw numbers offer something like hints: fines in the US are based on the volume of commerce affected, a proxy for a cartel's harm. Lower fine totals, then, can indicate the DOJ is focusing on something else, like domestic cases, which are generally smaller than international ones, or that cases in the works are taking awhile. The latter may be the case here. While the corporate fine totals were down, fiscal 2017 featured the first charges in a number of new investigations. Prosecutors charged Bumble Bee Foods with fixing prices of canned tuna, and have also charged two Bumble Bee executives and a Starkist executive. In December, antitrust prosecutors also charged two former executives of Heritage Pharmaceuticals with fixing prices on two generic drugs. The DOJ's investigation into generic drugs, while not yet resulting in any corporate antitrust charges, has led prosecutors to seek documents from dozens of major drugmakers, including Pfizer, Actavis, Mylan and Sun Pharmaceuticals. In August, prosecutors also began filing charges in a cartel involving the promotional products industry. So far, two companies — Houston-based Zaappaaz, which operates the websites wrist-band.com and customlanyard.com, and Southern California-based Custom Wristband — have agreed to plead guilty to price-fixing. As those cases continue to develop, more corporate charges and fines are likely, meaning 2018 may be the start on an upswing of cartel fines.